We love posting about green and eco-friendly ideas. There really is something to be said about feeling when doing good, and the most important day to feel good is your wedding day! But let's be real -- sometimes echo chic can also be a little bit shabby chic. And while we absolutely love that style, it's not for every bride. So we started thinking hard about stylish ways to make your wedding eco-friendly. There are basic ways to make your wedding green, such as reducing your carbon footprint by having your ceremony and reception at the same venue, providing shuttle services to reduce car emissions, using cloth napkins, using organic materials in lieu of paper confetti, and so on. 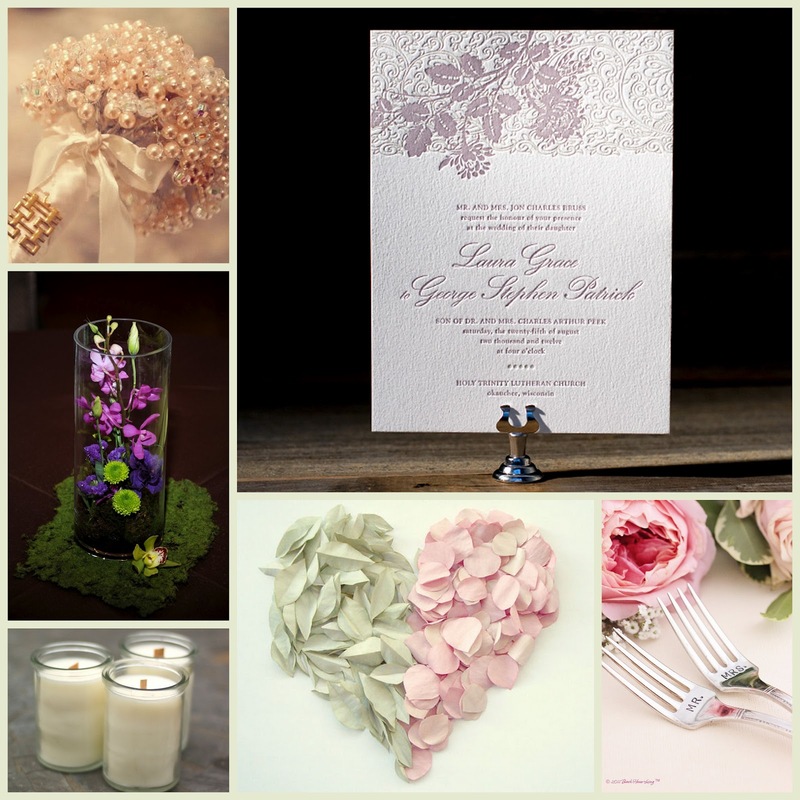 In addition to these basic suggestions, here are some ideas for recycled invitations, favors, centerpieces, and more! Great post! Here are some other ideas - family heirloom rings or recycled metal jewelry. Dresses - bridalgarden.org with discounted off the rack dresses and donated proceeds to charity. Also be mindful of what makeup you're wearing, some contain lead and endocrine disrupters. Check ewg.org/skindeep. Oh and obviously there's the food! Go organic and local if you can. Also, most people don't want to hear this but meat is bad for the environment (not to mention the animals themselves). Meat production pollutes and is a major source of greenhouse gases. There's even a blog dedicated to this - greenbrideguide.com. I haven't looked at it but I'm sure there are a lot of great ideas.